Home Auto Mania Which car is the quickest around the Nordschleife? Many manufacturers like to boast of the times recorded by their models around the famous Nurburgring Nordschleife (Northern Loop). Having driven round there myself I can tell you that it is the most exciting, the most dangerous and the most difficult race circuit in the world. The following is the list of the top 10 cars around the Nordschleife, and it will hold some surprises. So, what’s a “Radical”? I have to admit it was a new name for me. 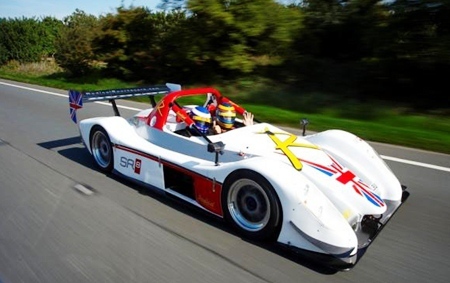 Those from the UK might know, the Radical SR8 LM, which in August 2009 became the king of street-legal sports cars, recorded the quickest time of 6 minutes 48 seconds, smashing all other previous attempts. Despite what it looks like, the Radical is apparently street legal and to set the record, the driver drove the SR8 LM from the factory in Peterborough in UK, all the way to the ‘Ring’ just to prove that the car was in fact, road legal. Even the Dunlop tires were road legal and only one set was used for the entire journey. Powering the SR8 LM is a Powertec prepared 2.8 liter version of Suzuki’s Hayabusa motorcycle engine, which develops 460 bhp (340 kW) of power through a six-speed transaxle. Shifts are also F1 style fast, with a Powertec paddle shift system, which allows flat up shifts, auto-blipper and clutchless downshifts. All-up weight is 575 kg. And never mind Nurburgring, the Radical SR8 can lap the Silverstone circuit in the same time as a Formula 3 single seater racecar, which is quite incredible. I think I want one. In fact, I think I need one!